You know what I really miss most about having a Nintendo Game System like my Gameboy? It's those Super Mario and Legend of Zelda Games. 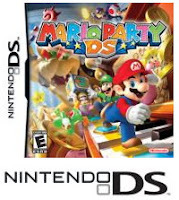 The Mario Party DS is the latest in Nintendo's line of the Mario Party Game series. The game features 70 new minigames wireless competition through the use of only one game card.